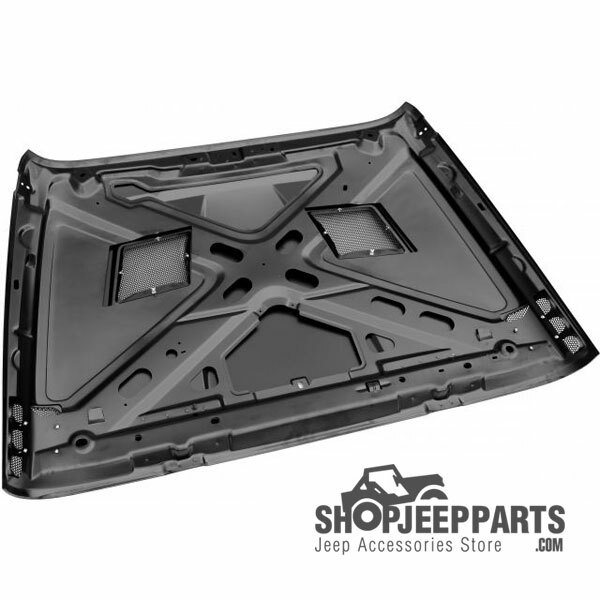 Jeep JK Performance Vented Hood. All with an attractive, effective, yet affordable solution. E-coated primer, ready to paint. 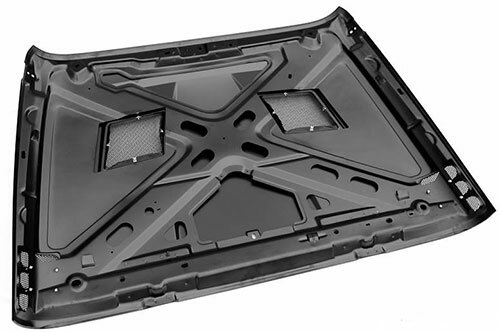 Remove the heat and maximize your engine performance with the new Performance Vented Hood from Rugged Ridge. 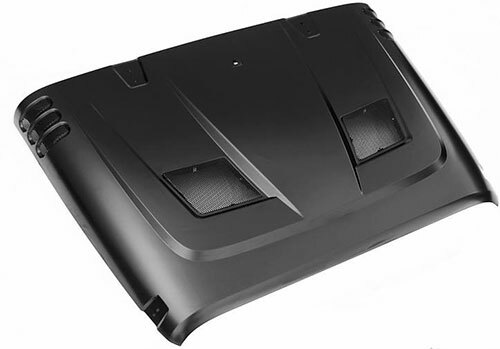 Made of stamped steel and a factory inner core, this hood fits like the original yet allows more heat to escape from the engine compartment than other hoods on the market today. The SRT inspired design gives a great aggressive look. Vents are removable to make it easier to paint. Uses factory attachment points and most aftermarket accessories will simply bolt into place. Got Heat? You need this hood. -Stamped steel construction for factory like quality and no heat deformity. 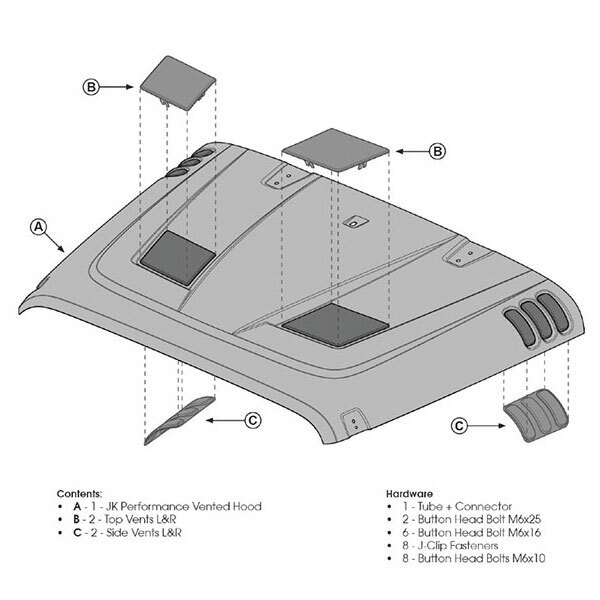 -50% more ventilation surface area than other aftermarket hoods. -E-coated to prevent rust, and ready to paint. -Uses existing factory attachment points, so no drilling required. Trying to keep your vehicle in the finest working form that you can? 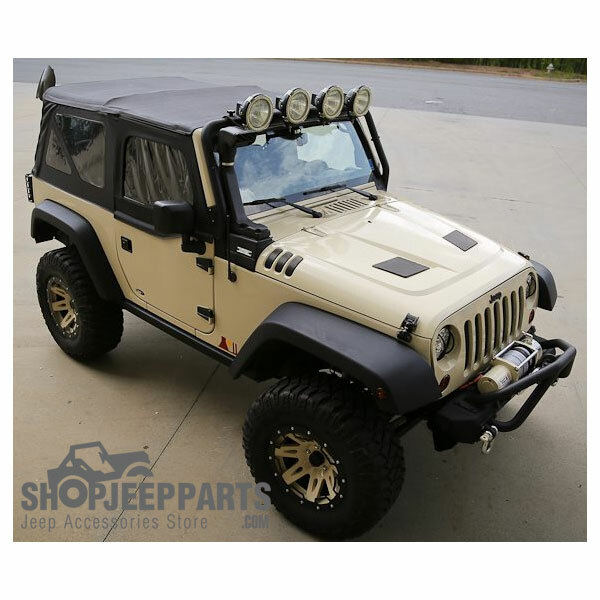 Then this Jeep JK hood is just what the mechanic ordered. With this kit, you can find an easy way to remove the heat from the engine and maximize its consistency and performance simply by using this new performance-based vented hood. It’s the little things that tend to make the biggest difference, and with this you get an easy way to keep everything working as it should. Made from a stamped steel and using a factory inner core, the hood will fit like a glove despite offering more than 50% of an improvement in efficiency and performance. This makes a massive difference, providing you with a far more rounded ventilating surface compared to other similar designs. 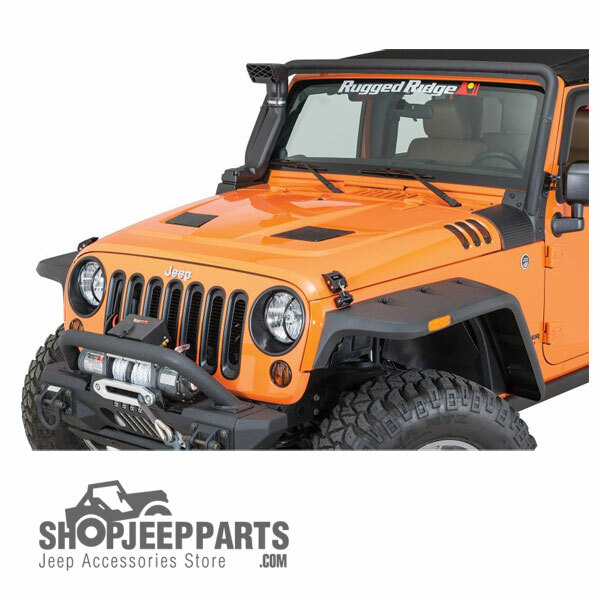 This rugged ridge performance hood is the perfect choice to go for if you value the heat of your vehicle properly. Vents can even be removed if you want to paint them in a color that matches the vehicle itself. This bolts into place with no problems at all, making sure you get a vent that protects the vehicle without allowing for any potentially dangerous build-ups of heat as time progresses. Really good looking hood. The hood fitment was great. Really made a difference in the way my jeep looks. perfect transaction. fast shipping, great pricing. shipped in secure packaging. can't wait to installed it on my jk. I was totally satisfied with the service I received from Mo. He helped me find what I was looking for and throughout the entire purchasing process. I looked at all the other sites I could find and they had the best price including shipping by about $100.00. They will be my Jeep Speciality Store from now on. Thanks to Mo for making my shopping experience exceptional.